Just before Thanksgiving, a housing crisis popped up in the infamous St. Louis suburb of Ferguson, Mo. 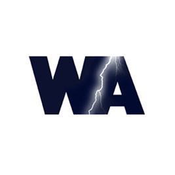 The county housing authority had stepped in to demand repairs from a property management company officials deemed substandard and even dangerous. In other words, the system was doing what it was supposed to do: ensuring residents have a safe place to live. But the property company responded by threatening to kick out residents, and pointed blame at the housing authority and previous ownership. It’s a mess. And in the middle are residents who are hustling to find safe housing during the coldest months of the year. The whole situation gets at the heart of what’s happening around issues of race, class and housing in the St. Louis area. Because while some institutions are making legitimate changes, countless pitfalls remain on the path to progress. We’ve spent our entire year dissecting the intersection of race and housing. Which of course has meant taking a pretty critical look at the deeply destructive patterns of segregation in St. Louis. And listening this year, you might have thought to yourself: “Sheesh! they talk a lot about the problems.” But that’s not the full picture of what’s going on right now in our region. There’s a robust conversation -- in some circles -- about possible solutions. On this episode, we decided to listen to a man who has been leading a team of some of the smartest people in the region with the goal of dismantling divides and creating a new path forward. Hey ya’ll! It’s a been a long season. 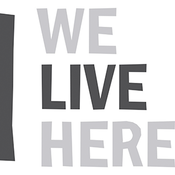 And it means so much to the WLH crew that you’ve hung with us all year as we dissect race, class and housing in one of the most segregated cities in these United States. Recently we invited about 150 of our friends over for a house party downstairs from our studios at St. Louis Public Radio. Conversations were had. New connections were made. Of course there were drinks. And it wouldn’t be a WLH party without stories! Many of you have asked to hear more youth voices on the show. So, this time around Kameel and Tim handed over their mics, stepped off the stage and listened to some stellar youth storytellers from St. Louis. Enjoy! We sure did. The Grove neighborhood is in a part of St. Louis that has seen an uptick in new housing and business development. The changes have been a blessing and a curse. While many in the area welcome the investments, there are concerns that rising housing costs are pushing out longtime residents. On this episode, we listen to stories of those who live, work, worship and teach in the area about how they've seen the neighborhood change. 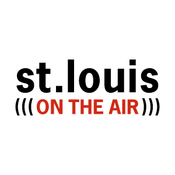 Lyt til We Live Here, St. Louis on the Air og mange andre stationer fra hele verden med app'en radio.dk.